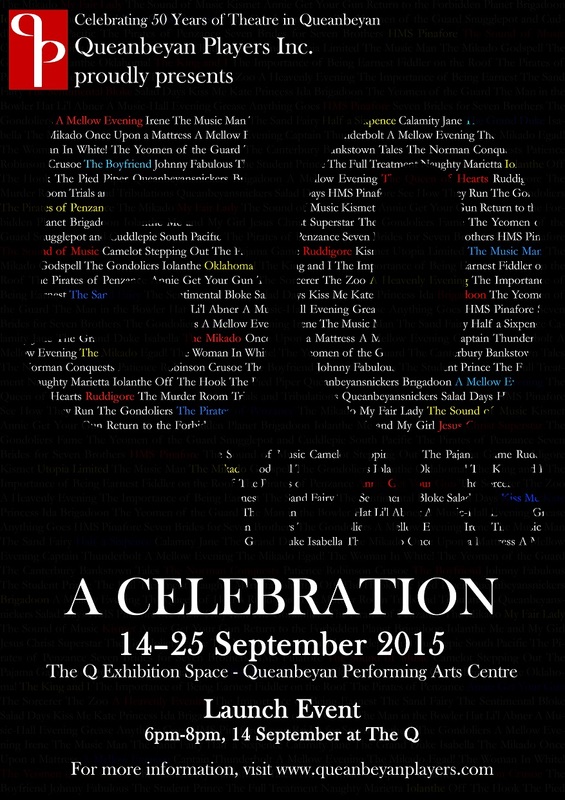 Past shows | Queanbeyan Players Inc.
Queanbeyan Players is proudly celebrating its fiftieth anniversary in September 2015! Although QP was not incorporated until the 1990s and did not have a constitution until the 1970s, the first group of people involved in putting on plays and other amusements in Queanbeyan got together in the 1960s and produced their first show in 1965. To celebrate, we’re holding an exhibition for two weeks at the Queanbeyan Performing Arts Centre showcasing QP’s history as one of the region’s premier amateur theatre groups.. There will be posters and programs, photos and film, costumes and props and a timeline showing where we started and what we’ve been doing over the past 50 years – including filmed interviews with current and former QP members. Please RSVP for catering purposes through our Facebook event https://www.facebook.com/events/822988301148543/ or by emailing queanbeyanplayersinc@gmail.com (with the subject line 50th RSVP). To kick things off in style, we will be holding a gala opening launch on 14 September. Please come along to help us all celebrate! Some of our founding members will be there to share their memories, and there will be food and drink and a 50th birthday cake! So don your party gear and head down to The Q for two hours of memories, celebrations, live performances and, of course, a chance to see the exhibition itself!